It is true that Apple App Store offers a variety of apps to be downloaded and installed on your device. However, there is a restriction (in terms of file size) when you download a file using cellular data. 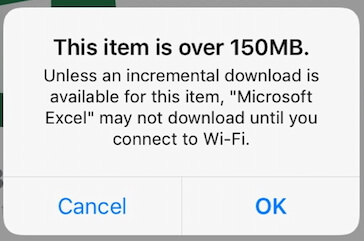 For instance, you cannot download files larger than 150 MB if you are connected through cellular data if you use iOS 12 (this was limited to 100 MB in iOS 10). But what if you want to download apps beyond this weight? Well, the purpose of this article is to explain how to download apps over 150MB without WiFi on iPhone. Before we learn how to solve this issue on iPhone, let’s find out the actual reason behind this. In fact, such restriction is introduced to prevent you from using excessive amount of cellular data. However, if you have enough cellular data and need download heavy apps without WiFi, the rest of this article will help you. Here we will explain how to download apps over 150MB without WiFi on iPhone. Please follow the steps carefully so you can succeed conveniently. Step 1. Launch App Store and locate the app you need to download on the device. Tap on the option “GET”. You will now have to confirm the action with authentication (Password, Face ID or Touch ID). Step 2. You will see the notification saying “This item is over 150MB”. It will suggest you connect the device into a WiFi network to complete the process. Just tap on “OK” and go to the Home Screen. The app icon will be there on the Home Screen. It will be there until the device is connected to WiFi. Step 3. Now go to Settings app and choose General. Step 4. 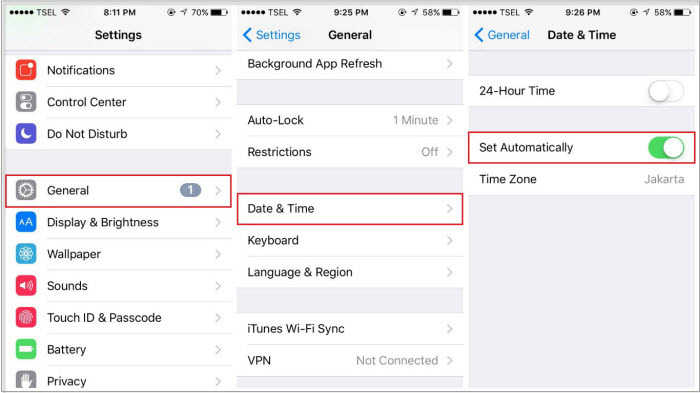 Go to Date & Time and switch off the option “Set Automatically”. Step 5. Change the date into a future date (1 or 2 days would be fine). Wait for a while so the download will be started. Be patient until the downloading process gets completed. At the completion, simply launch the app and start it. Step 6. After getting the app downloaded into the device, you should change the device’s date and time back to the correct figures. Step 7. Go to “Settings” -> select “General” -> go to “Date & Time” and then switch off “Set Automatically”. If you are using an iOS 10 or an older version, you cannot download an app if it exceeds the size of 100MB. 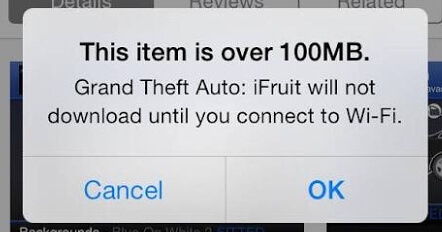 Well, if you wonder how to download apps over 100MB without WiFi, here’s how to do it. Step 1. Before beginning to download the app, enable Cellular data on your device. Launch the App Store on the device and head towards the app you intend to download. Step 2. Then, you will see an error message: just tap “OK” and don’t worry about it. Step 3. You should put your device on Airplane mode now (slide the control center and simply tap the Airplane icon). Step 4. Restart the iOS device and then go to App Store once again. Step 5. Now, you can turn off the Airplane mode once the device is restarted. You can then resume the download by going to “Updates” and “Purchased” located in “App Store”. 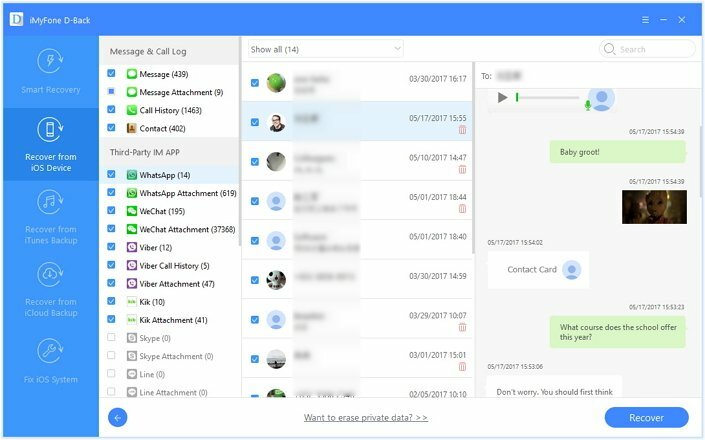 The following part of this article is dedicated to explain how to download specific app data selectively using a professional software called iMyFone D-Back. 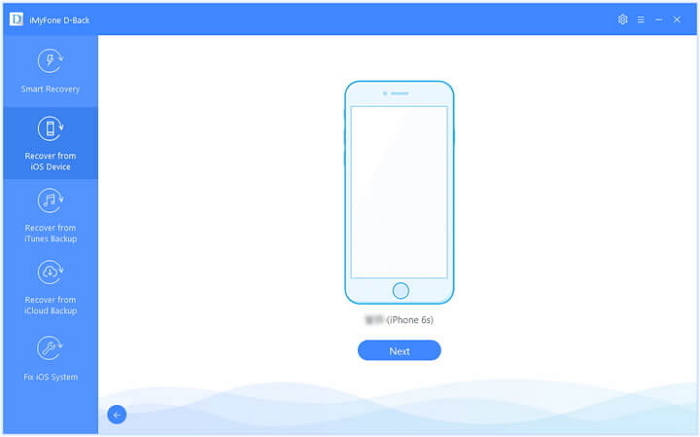 iMyFone D-Back is a powerful tool that can necessarily help you download deleted and existing data from iOS devices. Also, it can only download the data you need instead of downloading all from device or backups. Step 1.Launch the software on your computer and select “Recover from iOS Device” option. Then, click on the option “Start”. Make sure that your iOS device is connected to the same computer using the original cable. Once the device is detected by the software, you should click on “Next”. Step 2.Now select the data types you want which depends on your need. Then the program will scan the files in your device. Step 3.At the completion of scanning, you will see all the files on screen. Then, choose what you need and click “Recover”. Other than the above features, we also inform you that this program has already been trusted by many professional websites. Both iTunes and iCloud are official ways provided by Apple. They are free to use (iCloud is only free up to 5GB). However, none of those options let you preview data before restore. Meanwhile, they do not allow you to selectively download data. 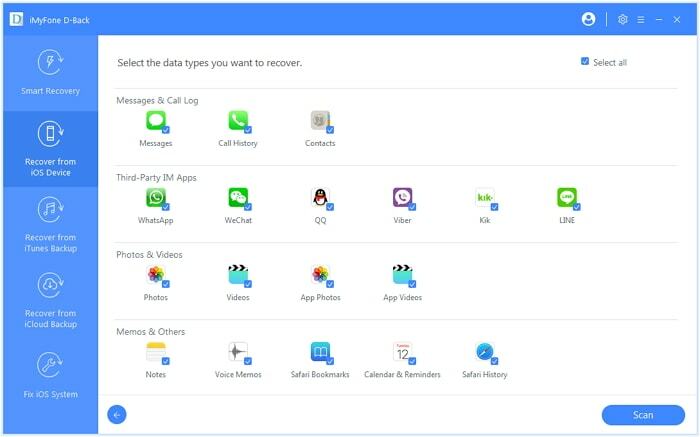 In this case, iMyFone D-Back is the best alternative to download app data from device and backups. We hope that the above information would help you in installing apps over 150MB without WiFi. Also, you can try the tool we have mentioned so you can download app-related data as well. It is much appreciated if you can leave us a comment about your experience. Your feedback is really encouraging for us.